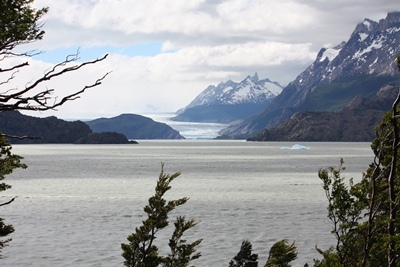 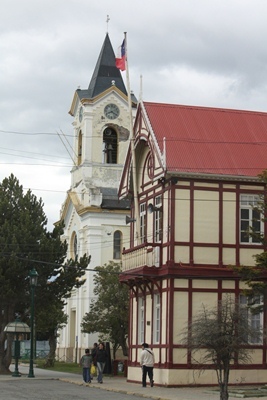 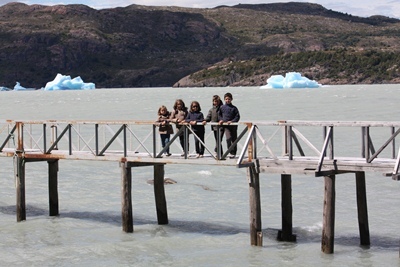 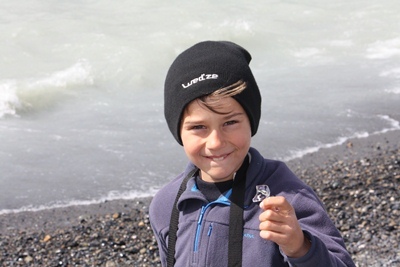 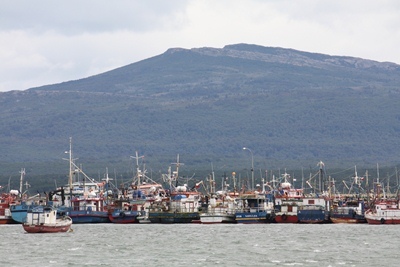 We fill our stock in Puerto Natales, a pretty fishing port and gateway to the trips to the park Torres del Paine. 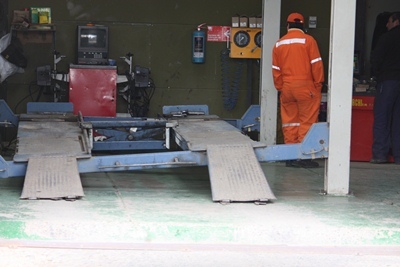 It is time to change the oil of the car. 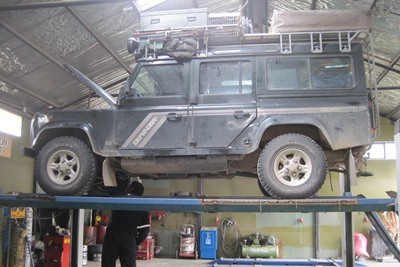 Due to the high weight of the Land Rover the lift breaks down. 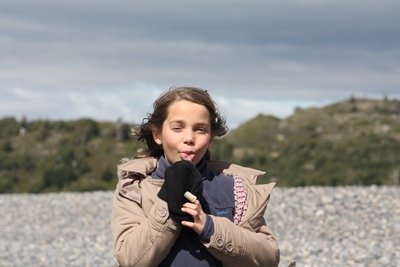 The accident was barely avoided and we leave the scene somewhat embarrassed. 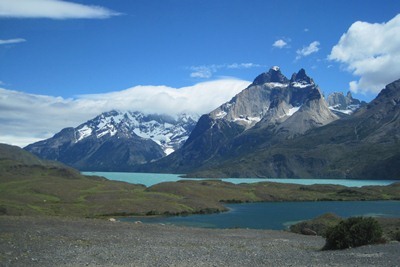 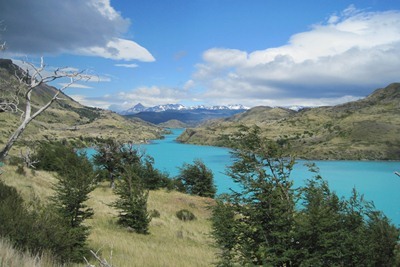 Torres del Paine is the most beautiful park in Chilean Patagonia and the road leading to it is goergous. 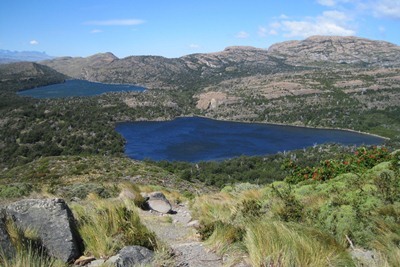 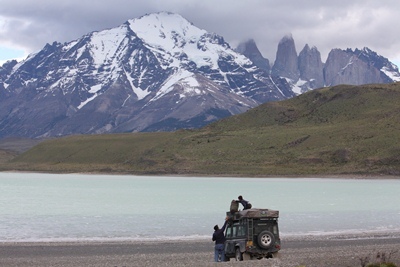 We camp at the entrance of the park with a stunning view over the famous "Torres." 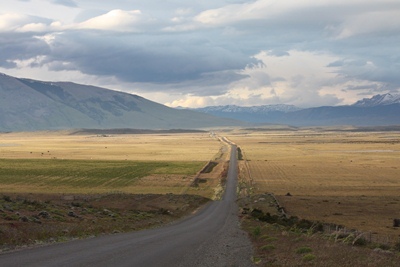 But the night will be short as a windstorm forces us to move the vehicle several times. 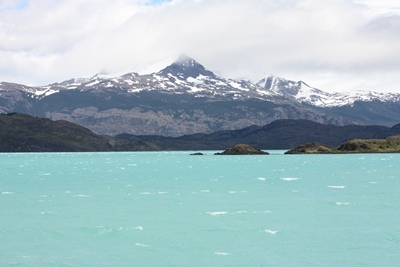 We fall in love with this beautiful landscape: multicolored lakes dominated by blue glaciers. 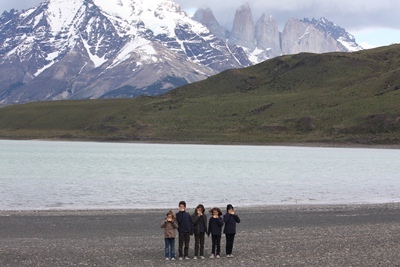 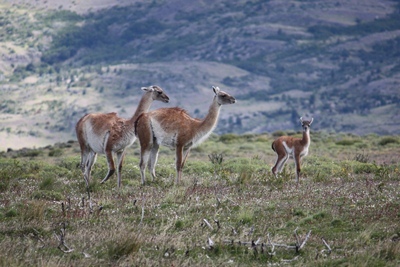 This is the first time that children see guanacos babies! 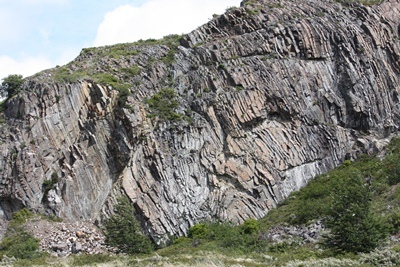 Matthew takes advantage of these amazing rocks to give a geology lesson! 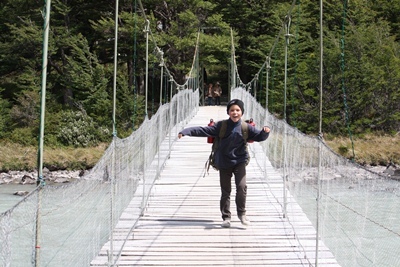 To reach the Grey Glacier, we pass by a suspended bridge in a windy area, and Charlotte is rather scared. 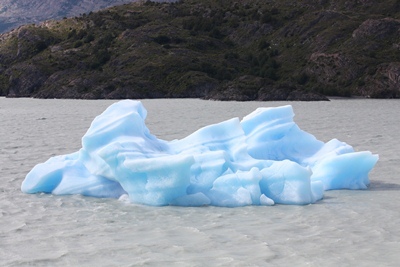 We admire our first icebergs, floating in a grey lake. 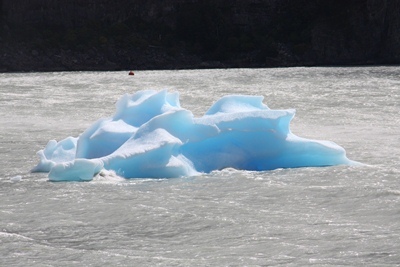 The weather is beautiful and the contrast between water and ice is stunning. 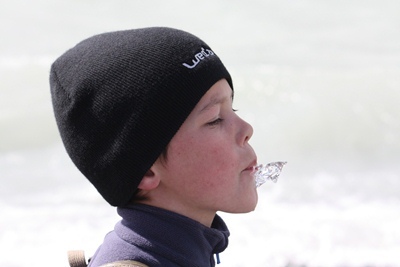 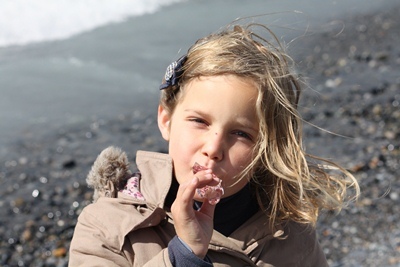 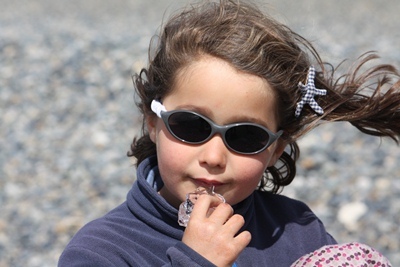 Shiny pieces of iceberg are rejected on the beach and children are eating them with delight! 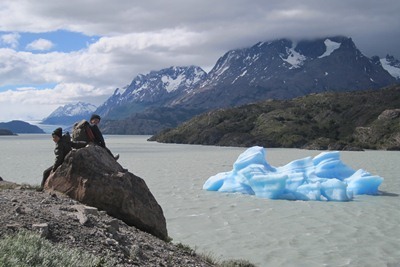 From a small hill, we end up having a nice view of the Grey Glacier, dying into the lake. 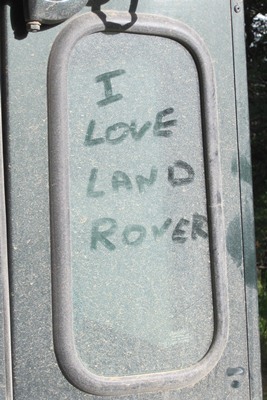 Back to the car, we find a note left by a fan!